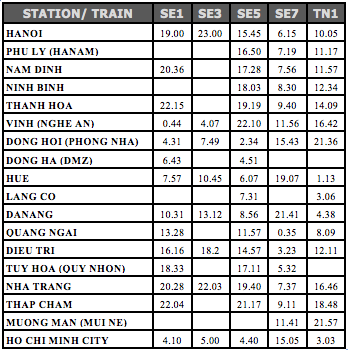 Following are the timetable and ticket information for North-south trains and Hanoi – Sapa trains. We will keep them updated as frequently as we can. 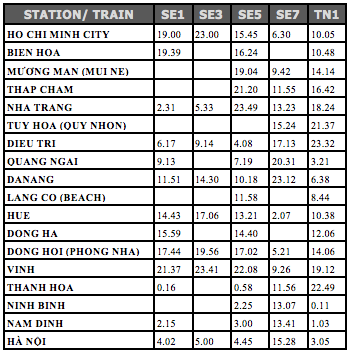 If you want to see what train berths and seats image click here.